Christopher Heine, writing for AD Week, on how a chatbot is helping sell vinyl records. And it’s working. Here’s how it works. People sign up to receive text messages and then get an album recommendation every day on their phone. Upon seeing such an offer, they can text back either “yes,” “like” or “dislike” to inform the chatbot of their musical preferences—and the reply affects what 12-inch slabs of wax are pitched their way in the future. If they answer “yes,” a link appears to let them buy the album in a couple of clicks. The Edit has sold some 50,000 records that way to tens of thousands of subscribers. What’s more, if a subscriber asks a “human question”—such as, “What is currently playing in the office?”—a customer service rep quickly steps in and provides a contextual response to further engage the patron. If the consumer seems ready to buy something but hasn’t pulled the trigger online, the chatbot—not the rep—sends that person a message to call a rep to complete the order. And it’s not just at Pizza Paradiso. In more and more bars across the country, the little-recognized shaker is slipping out the back door. And among beer’s devotees, the end of the glass that defined a century in beer can’t come soon enough. Young the Giant’s new single “Something to Believe In” is now up for stream on Apple Music and Spotify. Drake’s new album, Views, is now up on Apple Music. Starflyer 59’s upcoming album, SLOW, is now up for pre-order. The album will be released on June 17th via Tooth and Nail Records. PEARS’ new video for “Green Star” can be found below via Visions.de. Alto’s Adventure: A great iOS game on sale for 99 cents. Into It. Over It.’s UK b-side from Standards, “Twenty/Twenty,” can be streamed below via DIY. Emarosa have signed with Hopeless Records and will release their new album, 131, on July 8th. You can watch the video for the new single “Cloud 9” on YouTube or by hitting read more. Deftones’ Chino Moreno, Bad Brains’ guitarist Dr. Know, former Bad Brains’ drummer Mackie Jayson, Chuck Doom of Crosses, and keyboardist John Medeski have all gotten together to form: Saudade. The first single, by the same name, can be found below via BitTorrent. 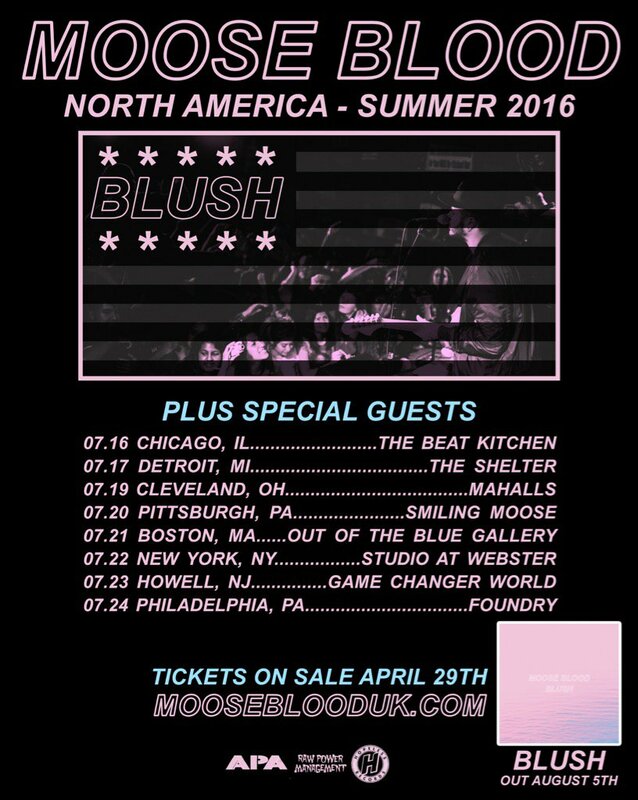 Moose Blood have announced some new US headlining tour dates. A live video of Julien Baker performing “Good News” with Sharon Van Etten during the encore of her show last night in New York City has been posted to YouTube. Sturgill Simpson’s performance of “Oh Sarah” on Conan is now up. Young the Giant have posted up the track listing for their new album, Home of the Strange. The album will be out August 12th via Fueled by Ramen. Spotify announced Wednesday it has acquired CrowdAlbum, a service that creates albums of events based on the location and time of photos and videos people share on social media sites. It can index content for any kind of event — sports, Earth Day festivals, political rallies — but mostly aggregates photos from music concerts and festivals. Alex from All Time Low has tweeted out that they wish they could be on the whole Blink-182 tour, but that this year is really about “making the best new music that we can.” So, I’ll take that as confirmation the band is working on new music this year!